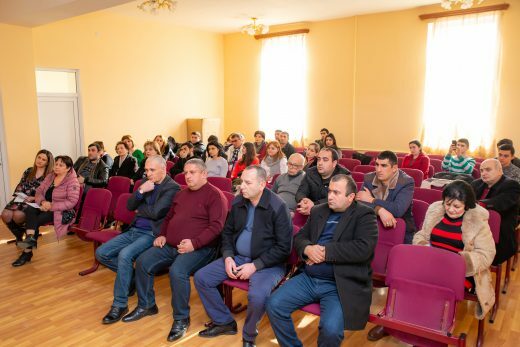 On January 25th,2019, at Ijevan Secondary Music School hall, a public discussion entitled “The issue of Garbage disposal and Ijevan sanitation system” was held, attended by Deputy governor of Tavush region Tigran Tamrazyan, Samvel Rubenyan, Ijevan Mayor Vardan Ghalumyan, specialists in the field, utility service specialists, NGO representatives , media representatives, and citizens. Vardan Sargsyan, Head of Economic Department of Ijevan Branch of Yerevan State University, took part in the public discussion. The aim of the meeting was to discuss garbage collection and sanitation issues in the community, improve service quality. 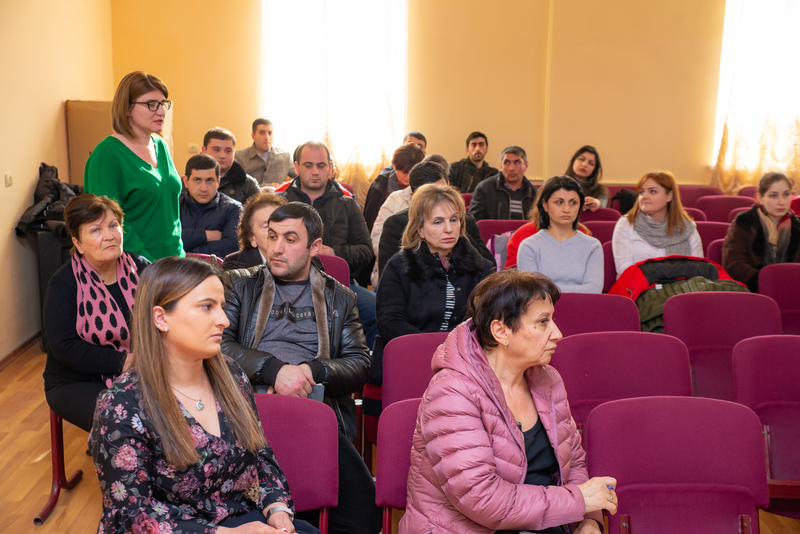 The main item of the discussion was the pollution of Aghstev, namely citizens’ concerns connected with throwing garbage into the Aghstev River. The participants discussed various suggestions to reduce such cases. 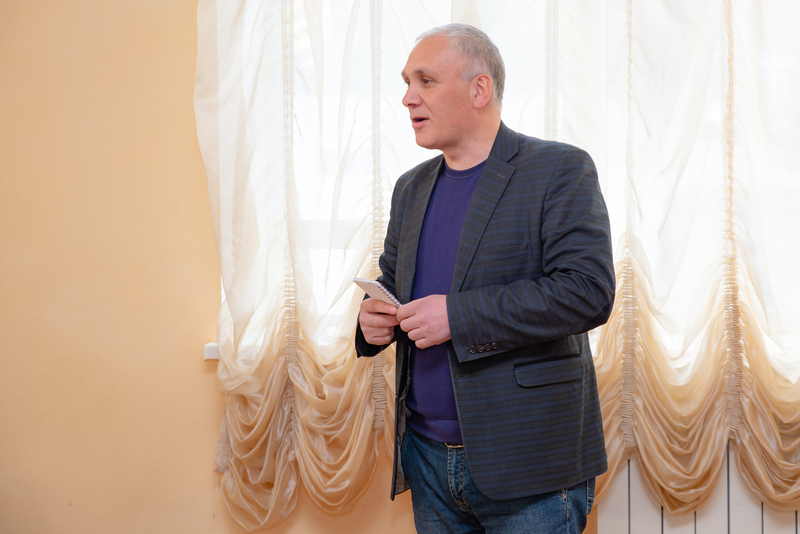 Mr. Sargsyan, Head of the Economic Department of YSUIB, presented the issues related to the Branch, related to the communal problems of YSUIB Usanoghakan N3 street (sewage disposal, elimination of waterfall, etc.). 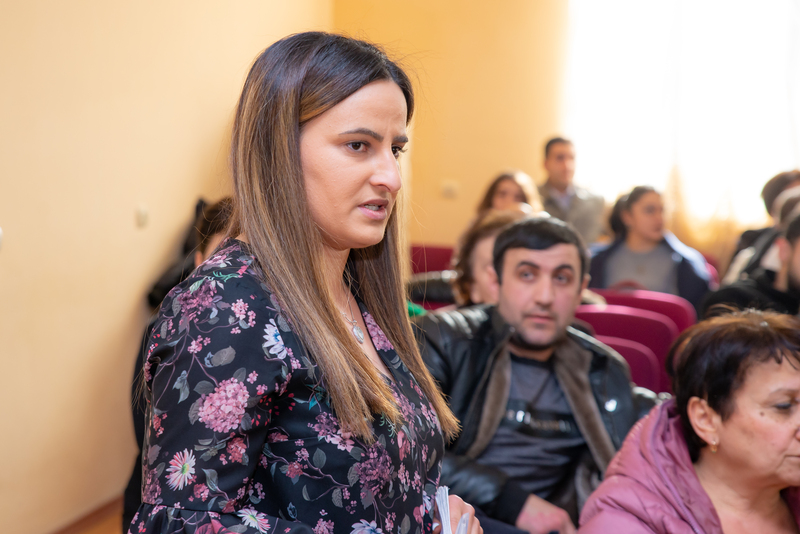 The Mayor of Ijevan answered to the participants’ questions. Vardan Ghalumyan mentioned that during these years, the number of law breaking businessmen has significantly reduced due to the regular discussions. According to Ijevan Mayor, the “Spitak lake” reservoir valves are regularly opened to clean the riverbed. Trees along the river are cut down, but for security reasons, some of them are preserved because of surrounding buildings. Another problem preventing the proper implementation of garbage disposal is that owners disagree with the placement of garbage cans in privatized territories. The Mayor highlighted the solution of these problems by raising legal awareness of the people instead of imposing fines. make a statement by Ijevan Municipality to inform the citizens that from now on, all those who will throw gabage particularly in the Aghstev River, according to the law, will be subject to administrative liability. fine those businessmen, who throw garbage under their stores, namely, across the river. Publish records; both the previous and that made after this discussion. A month later, on February 25, organize another meeting to discuss the implementation of the above-mentioned points.